Enjoy this guest blog from our friends and allies at Conservation Colorado. If you haven't yet contacted the EPA about reducing methane pollution - act today! Colorado has long been a leader for the nation in finding policy solutions that strike the right balance between responsible energy development and protecting our clean air, clean water, and treasured lands. One in three Americans lives in a county with oil and gas operations, and right now, methane is leaking from over a million oil and gas wells. That’s over 7 million metric tons of methane spilling into the air each year – enough gas to heat 5 million American homes (at a cost of over $1 billion in lost methane). Methane is the primary component of natural gas, so wasting methane means losing money for oil and gas taxes and royalty revenues. Those lost funds would have supported education, infrastructure such as roads and bridges, and conservation efforts in areas directly affected by energy development. Curbing methane pollution is also critical because it is 80 times more potent than carbon dioxide in the first 20 years after its release, and is already responsible for a quarter of man-made climate change. 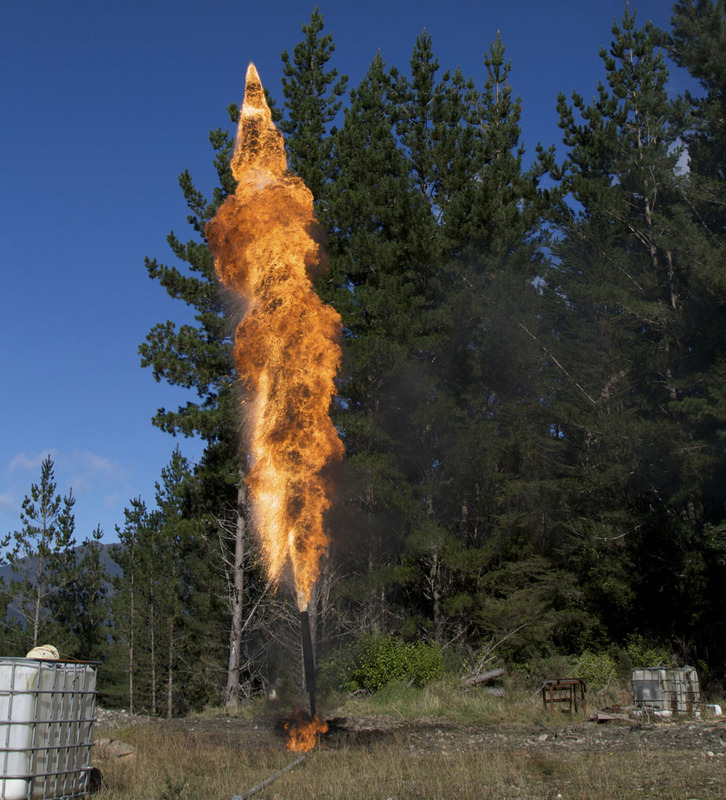 The good news is that cleaning up methane waste is a win-win. Oil and gas companies can benefit by bringing more natural gas to market, and entrepreneurs are breaking new ground and creating jobs in an ever-growing methane mitigation industry. Regulations to plug methane leaks are supported by companies in the oil and gas industry. In fact, a recent study by the Center for Methane Emissions Solutions found that representatives from oil and gas companies overwhelmingly agreed that the benefits of Colorado’s regulations outweigh the costs. Companies capture lost product for additional income and reduce emissions without incurring significant costs. Additionally, because of the required inspection schedule, the oil and gas companies have seen improved on-site safety and training for their employees. Currently, both the U.S. Bureau of Land Management and Environmental Protection Agency are working to cut methane waste and pollution. The BLM has a “no waste” mandate and is responsible for ensuring a fair return to taxpayers when publicly-owned oil and natural gas minerals are developed. The EPA can address methane pollution on state and private lands, which will ensure we don’t leave any loopholes where development takes place. While hydraulic fracturing is a relatively new system, its widespread use has triggered a response from the industry for methane mitigation and new technologies to reduce pollution. According to Jim Armstrong, President of Apogee Scientific, “We need have systems that can go out there and economically find larger ‘super emitters’ that may be one hundred times larger than the smaller leaks. We need uniform regulations.” Mr. Armstrong’s company, Apogee, specializes in a new mobile infrared technology that can detect emissions from up to 100 feet away. And Patrick Von Bargen, Executive Director of the Center for Methane Emissions, discussed a new program through the Department of Energy which has funded research and development on monitoring systems. Their target is to reduce the cost of monitoring leaks by a factor of ten, which will be cost effective and available commercially in two to three years. These new technologies can provide breakthroughs with an enormous reduction of cost. 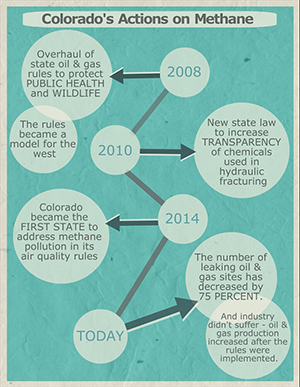 Colorado’s forward-thinking work on our state rules has provided a model for the nation, and we have proven that methane rules can coexist with responsible energy development. But there is more work to be done, and we need to fight to make it happen.